In the darkest, coldest months of winter, when the mere idea of dining outdoors seems like a cruel dream that never actually happened, we like to throw the inverse of the summer picnic: the Soup Party. In keeping with our love of food themes (and with January being national soup month), we invite people to bring a bowl and their favorite soup to share, along with a donation of pantry items for City Harvest, a local food rescue organization that helps feed over 1 million New Yorkers each year. 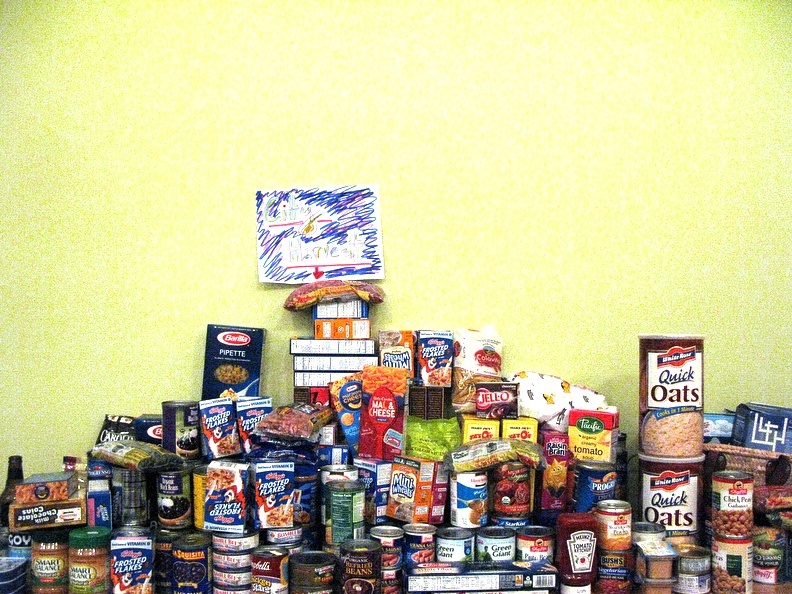 Last year, we collected over 400 lbs of food donations, while sampling over 25 delicious soups. Like the picnics, we are never sure who will show up and what they might bring. Luckily, we have a big common room in our building, so the more the merrier. In years past we have dined on spicy butternut squash, Moroccan Harira, Thai Coconut, Red Lentil Stews, three kinds of Matzo Ball (each different, one vegetarian, and all delicious), Hungarian Mushroom, Dal Makhani, and German Cabbage Stew, among many others. There is always an uncanny balance between the folks who bring soup and those who bring bread: sourdough baguettes, German brötchen, Miche, slices of rye, rustic boules, cheesy breadsticks and even a tray full of delicious Bulgarian Banitsa, made with cheese and phyllo. And don't get me started on the croutons! Everything from homemade mushroom-herb and spicy Cajun numbers to Israeli mini croutons. And then there ware the desserts, delicious iced root beer cookies and Hungarian Kurtoskalacs, giant hollow cylinders made of pastry. After the decadence of the holiday season, it's good to get back to the basics and have some soup.